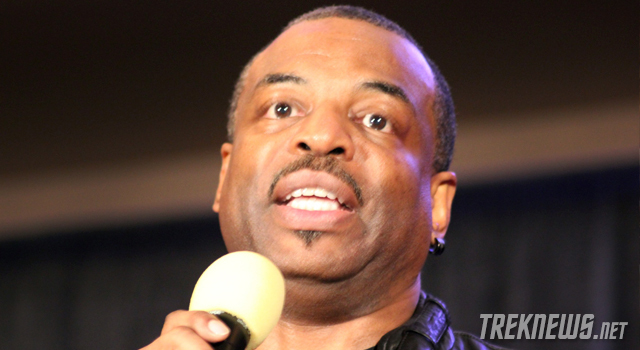 LeVar Burton, who played Geordi LaForge for seven seasons on Star Trek: The Next Generation, recently discussed the current direction of the Star Trek franchise — as it’s being handled by J.J. Abrams and the team at Bad Robot. (Abrams’ Star Trek) was a great movie, and he brought a whole new generation to Trek. But I’m a little disquieted by things I hear coming out of his camp, things like he would like to be remembered as the only Trek – which would discount everything before he got there. Burton went on to talk about how Abrams first film broke from the timeline of the original Star Trek universe. There’s ‘breaking the canon,’ which he did (by re-inventing Star Trek’s timeline). But there’s also honouring the canon. And to pretend to be the only one is really egocentric and immature. Burton, who’s character held the rank of chief engineer aboard the Enterprise D, discussed some recent scientific breakthroughs, which may lead to technology reminiscent of a holodeck and how TNG has influenced our culture. I just came from a conference in San Francisco with Advanced Micro Devices, and they’re working on technology towards building a holodeck. That was Next Generation. And that’s part of what Star Trek has brought to the culture. So when JJ Abrams says, There should be no Star Trek except the one I make,’ I call bulls—, J.J.